Having a tree removal company Minneapolis Minnesota that you can trust is but a click away. A Tree Service has been proudly serving Minneapolis for 50 years! Our highly trained and qualified crews are working for you. Whether you are residential, municipal, or commercial owner. Having a professional Minneapolis MN tree removal company on your side is always a great choice! Give A Tree Service a call today! Finding a residential tree removal company Minneapolis MN does not have to be like you are pulling teeth without Novocain. Being a home owner, you already have enough on your plate. When dealing with arboriculture issues, choose a professional! Be insured that you are getting taken care of. You will know your trees are in the best hands by a Minneapolis MN professional residential tree removal company. Do you need a Minneapolis MN commercial tree removal company to get rid of unwanted arboriculture? If so, A Tree Service can help. If you are pulling up to your business and notice hazardous or dead trees. Now would be a good time to call us. Having a company means marketing yourself to influence customers to come in. No one wants to worry if a limb is going to fall on their heads while entering your establishment. Also, you don’t want a lawsuit either! Our experienced commercial tree removal company Minneapolis MN is just a phone call away! Working for the government can be stressful. When looking for a municipal Minneapolis MN tree removal company you can limit that anxiety by calling A Tree Service! Our top of the line machinery and crewmembers are hard-working. If your municipal area needs a tree down, we can be there and get the job done quickly and safely. Don’t fret, we are here to help for your municipal tree removal Minneapolis MN! 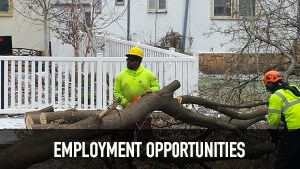 This entry was posted in MN Tree Contractors and tagged Commercial Tree Removal MN, Minneapolis Tree Care Co, Municipal Tree Removal MN, Residential Tree Removal MN, Tree Care Company MN. Bookmark the permalink.